Plate mounting tape (also commonly known as stickyback tape) is a double-sided adhesive tape comprised of either hard vinyl or a foam construction. Plate mounting tape is used to mount or adhere a printing plate onto a plate roll or printing cylinder. Sounds simple, right? Unfortunately, it can get much more involved than this due to the complexities of the printing process. As I’m sure you’re aware, flexo press operators print on a wide variety of substrates. Everything from your standard BOPP to metalized films and heavy board stocks are commonplace in the average print shop. 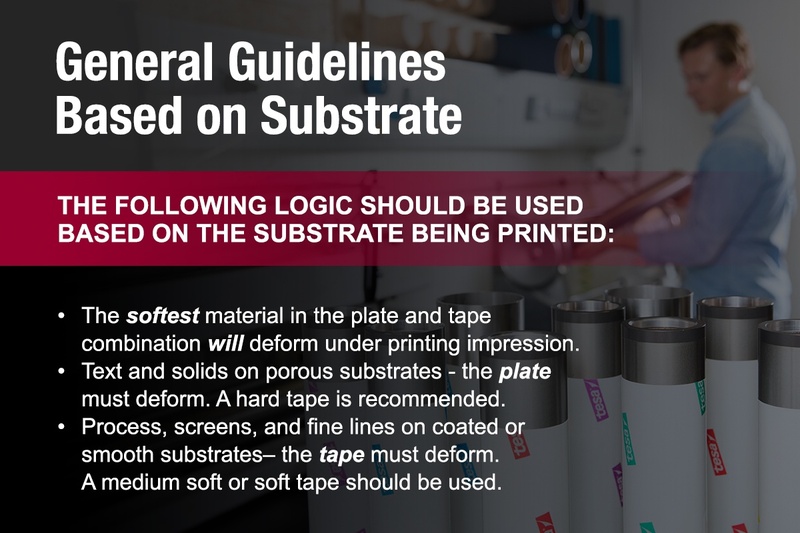 Substrate choice also dictates the durometer, or hardness, of flexo printing plates that will be used for the job. To produce a quality product, you should be matching your plates and plate mounting tape to the media in question. Flexographic plate durometers have quite a range of hardness variation. Softer plates will be in the 58 durometer range and are generally used for printing solids on porous or uncoated materials. The softer composition of these plates works well to transfer ink onto more porous surfaces. Hard durometer plates will be in the 70+ range. These plates are quickly becoming the industry standard for printing on coated or smooth surfaced materials and are generally used to print process work or higher end graphics. On top of the endless amounts of different foams used to make stickyback tape, I wouldn't be Dr. Flexo if I didn't also mention the varieties of different adhesive systems used to manufacture mounting tape as well. 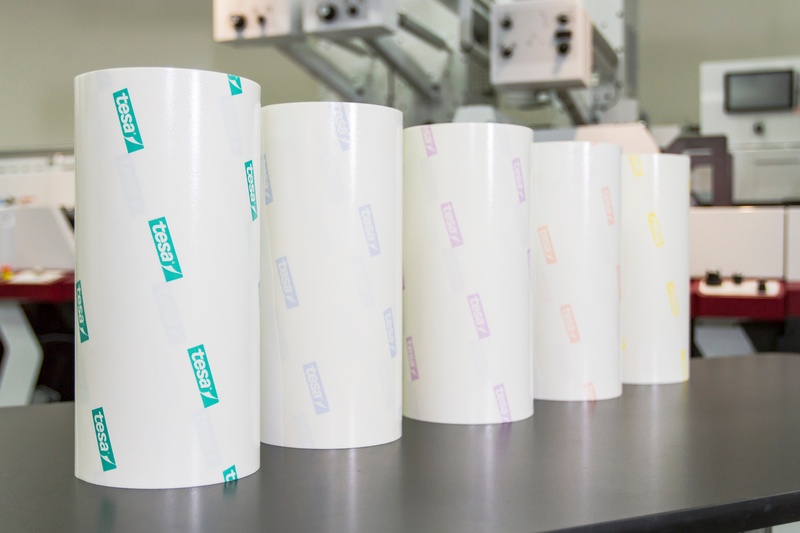 Varieties of adhesive can include the same adhesive system on both sides of the tape, an adhesive system optimized for high adhesion to the cylinder side of the tape and a lighter adhesion on the plate side for easy plate removal, or others have a system optimized for adhering to sleeves with the opposite side of the stickyback tape optimized for plate adhesion. In the past few years, there have been many improvements made in mounting tapes. These improvements can lead to higher print quality, increased productivity, and eliminate plate handling issues. From having over 30 years of experience in the print industry, I can say with confidence that tesa’s line of stickyback tape can help you achieve these results. If it’s been a while since you’ve evaluated the value in your mounting tape, Mark Andy Print Products’ team of technical supply experts are here to provide you with a personalized mounting tape trial based off of your applications.